Don’t want to stand in line at the DMV? Don’t want strangers coming to your home? 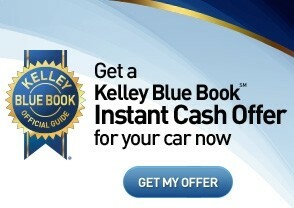 Get an instant cash offer online from one of the most trusted companies for used car price valuations, Kelly Blue Book. Hamer Toyota has partnered with KBB to give you an instant cash offer to purchase your vehicle. Once we verify your vehicles condition information, you can walk away with a nice check, or you can use the offer for your trade-in. Our Vehicle Purchase Coordinators are on duty to appraise and buy your car on the spot with no obligation to buy one of ours! And we can buy it, even if it’s not paid off. How can I sell my car online? Start right here using the KBB Instant Cash Offer Tool. Value your vehicle using the KBB Instant Cash Offer Tool. Bring your vehicle to Hamer Toyota’s Used Car Buying Center. Next, simply call one of our acquisition coordinators at 855-592-7014 to schedule your VIP Appointment and bring the offer along with the car you want to sell to Hamer Toyota. What should I bring to sell my car fast? All keys and remote(s)-Having all of the original keys/remotes adds value to your vehicle. Hamer Toyota will handle ALL of the DMV paperwork including the Bill of Sale, Vehicle Transfer, and Release of Liability so you don’t have to stand in any long lines! Tip: We appraise vehicles clean or dirty. Don’t waste your time or money to have the vehicle detailed. We do recommend cleaning out the glove box, trunk and any other place you store your personal belongings. Do I have to buy one of your cars? The car buying center at Hamer Toyota will buy your car with absolutely NO obligation to buy one of our cars. 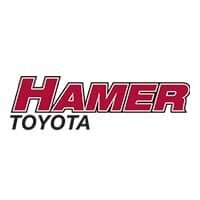 If you do want to replace your vehicle, Hamer Toyota has a huge inventory of New Toyota Cars, Toyota Trucks, Toyota Certified Used Cars and quality used cars from a multitude of manufacturers. When purchasing a vehicle, we recommend bringing the following items with you in addition to the items listed above. *Final purchase price based upon verification of details provided in evaluation.